Ah, the mirage of free software! Who wouldn't want to get stuff for free, rather than pay for it? This explains why there are so many freeware sites out there. And there are also many sites that give away a commercial application each and every day of the year - this one, for example. Antiviruses fall into a different category, in my humble opinion. I feel much safer knowing that I pay for an antivirus, because I expect it to have a much higher virus detection rate in comparison with a freeware product. Nevertheless, if money is an issue, there are a few virus protection packages that work fine, and can be confidently installed on your computer. One thing to note, though, is that these products can only be used for free in a noncommercial environment; if you run a business, you will have to pay even for the free version of the product. There are many prestigious, independent antivirus testing labs, and most of them report their findings, helping people take the best products. Take AV-Comparatives, for example; their tests are comprehensive and accurate, so they can be trusted. It's funny, but Avast acquired AVG a while ago. You will find both products reviewed in this article, though, because Avast chose to let AVG live. It's a commendable decision, even though it may have a financially-backed reason behind it as well. When installed, AVG asks if you'd prefer to trial the 30-day version of its paid product, or start with the free version right off the bat. The antivirus includes a PC Tune-up module, which does a great job detecting fishy websites, blocking various ads, enforcing a "don't track me" policy, cleaning your browsing history and cookies, and so on. This antivirus will help protect your computer from many nasties, while also including several third-party utilities that complemented nicely: a password manager, a Wi-Fi inspector, a rescue disk creator, and more. 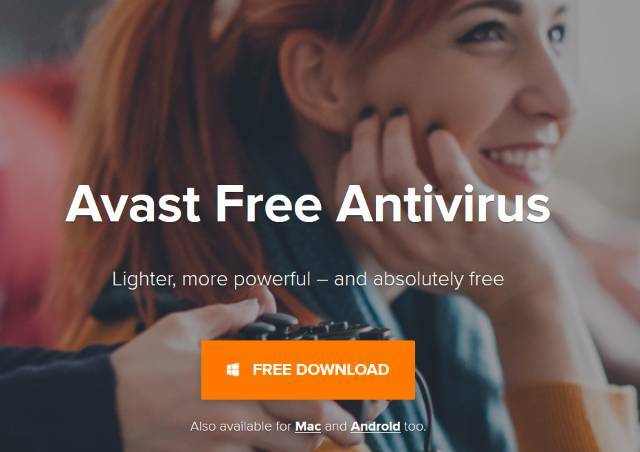 Avast shines when it comes to malware protection. And as soon as it detects a problem, it prompts you to restart the computer. That's smart, because it allows you to scan the system without having the virus active in the memory. Websites that infect your computer as soon as you visit them are much more widespread these days. Avast's excellent phishing protection helps keep your computer safe by loading a warning page in advance. Of course, you are given the option of accessing the desired website if you don't care about the potential risks. 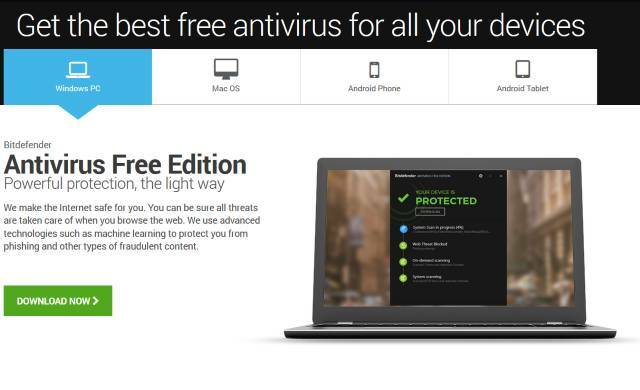 Bitdefender is a Romanian antivirus, and the paid version of the product has been in one of the top 3 best antivirus positions since its launch. It's disappointing that the free version offers a limited set of tools and features, but I guess that the owners of Bitdefender need to make a profit, after all. The package is easy to install; it downloads the needed updates during the process, and then it starts to scan the computer. You will need to create a Bitdefender account, which can then be used to manage your licenses, install Bitdefender on your other computers, and so on. Once it's installed, the program will walk you through a short, easy to understand tutorial. It's a lightweight application, so it can be installed even on old or underpowered computers. The malware protection is above average, because the free edition is using the same scanning components that can be found in the paid version. Phishing protection works great as well. The only negative aspect is the lack of complementary features, which were so generously included in the other antiviruses I've mentioned in this article. Still, if a higher virus detection rate is your most wanted feature, Bitdefender is a strong option.